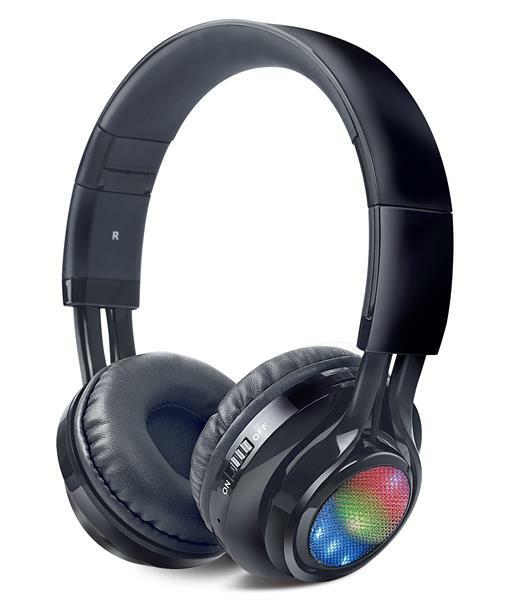 iBall recently launched iBall Glint BT06 Bluetooth wireless headsets at an affordable price. Read this article to find information on this headset including features, technical specifications and price. iBall, a brand known for its innovative and latest technology products, extends the already popular and superior product line of Clarity Headsets to meet the growing needs of music aficionados with Bluetooth headset - iBall Glint BT06. Designed to appeal the style conscious, the dancing rhythmic LED effects on the soft – cushioned ear cups, delivers the happening musical experience with powerful sound and soothing bass! For a Brand who has the reputation for excellence in sound in its segment, iBall Glint BT06 is all set to bring the ultimate audio experience with style only for Rs. 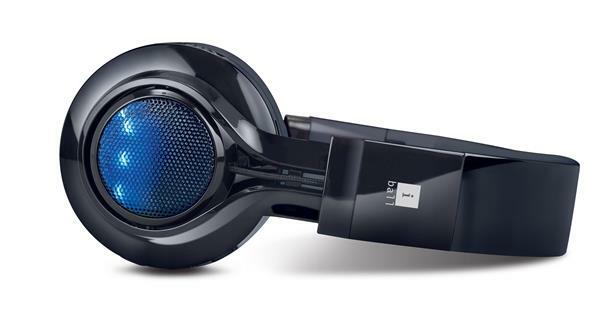 1,499 only – Bluetooth headsets with contemporary design, big and soft ear-cups, FM and Micro-SD playback included. A complete personal music gadget. The headphone also flaunt a foldable arms design and adjustable cup heights making it further more comfortable for users ensuring the perfect snug fit. The ergonomically designed iBall Glint BT06 is the kind you want to flaunt! Design-wise, it takes an interesting approach. It exemplifies head-turning visual aesthetics with striking design and tactile appeal with sumptuous build quality.With its eye catchy LED , one could just leave them on the coffee table and start the talking point. iBall Glint BT06 headset gives excellent balance of lows and highs in a sound signature that strives for accuracy and vibrancy. Totally iBall Glint BT06 makes a lot of right sounds. For all tech savvy music lovers, the headphones come with easy connectivity without any distortion to mobile phones, Laptop etc letting you take your pick of Wireless(Bluetooth technology and even through Micro SD card) or Wired 3.5mm plug-in AUX input, which offers the best of both worlds! With endless music listening experience comes the hassle-free switching between calls and Music, with Bluetooth. To keep the entertainment going is built-in rechargeable battery and in-built FM radio. With onboard music controls on the ear shell enables to lower the volume or pause a song while you juggle between calls and music. Coming from brand iBall, iBall Glint BT06 is a worthy contender which will set new standards of success and will strengthen the position of iBall. It has attained among customers and Indian market in audio category over a decade of time. The product will be available across India by March 15th. products in its 26 product categories. It has also launched over 60 products with new technologies for the first time in India. iBall has already sold over 45 million products across India. The Company has a strong pan-India presence with 25 branch offices across the country, with its products available in over 400 cities and towns. iBall products are serviced at its self-owned over 150 service centers spread across India. Adding to its strength is the vivacious Kareena Kapoor as the brand endorser for Mobile phones, Tablet PCs and Audio categories. Over the years iBall has shaped itself as a very well accepted brand in the corporate world and is fast becoming a household name throughout the country.